Best Value in Langley!! 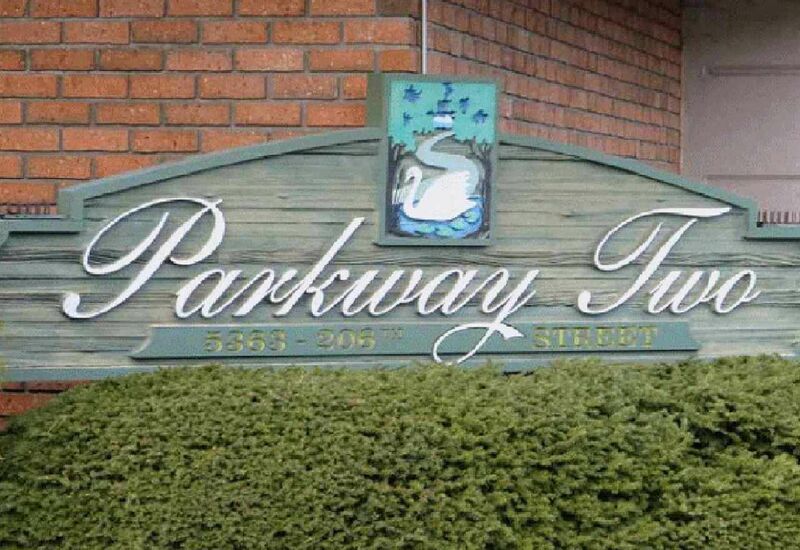 Over $70,000 spent in recent re-decorating this large, beautifully appointed 2 bedroom, 2 bath condo in popular PARKWAY II. Featuring: engineered hardwood flooring, new kitchen, newer appliances & both baths redone. Bright south exposed unit is NOT on ground level. Maintenance fees include heat, hot water & hydro. Many amenities including guest suite, well used clubhouse with full kitchen for occasional group dinners, monthly teas etc. A well equipped workshop, car wash stall and library. Parkway II is a well run strata with a very pro-active Council & large contingency fund. Age restricted (55+), no pets, non-smoking building & no rentals. Walking distance to shopping, banks, medical buildings & Senior's Centre. Priced to sell NOW, call to see/come to open house!